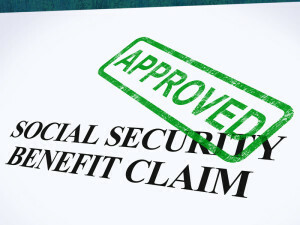 People whom the Social Security Administration finds disabled may be eligible for Supplemental Security Income (SSI) and Texas Medicaid or for Social Security Disability Insurance (SSDI) and, after 24 months, Medicare. Some people are eligible for both. Qualified disabled or elderly veterans with a limited income may also be eligible for pension benefits. These must be applied for separately. Applications for Supplemental Security Income and Social Security Disability Insurance are available at www.ssa.gov. Financial eligibility determinations do not include income from a Texas ABLE Act Account or a Special Needs Trust. 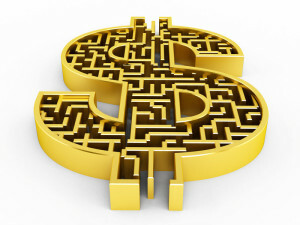 Just like Medicaid and Medicare, SSI and SSDI sound similar and are easy to confuse. Many parents of disabled children know to apply for SSI three months before their child turns 18 in order for the child to receive SSI as an adult. Fewer seem to also know that they should also apply for SSDI if the child is unmarried and is both disabled before 18 and as an adult. This application must be filed before the child is 22. SSDI benefits are the equivalent of 50% of the retirement benefits of a parent who is retired or disabled and 75% of the retirement benefits of a parent who has died. Like those benefits, they grow with a cost-of-living adjustment. Social Security is a complex area. While efforts are being made to improve and standardize its administration, funding and in some places office hours have been cut back substantially. Applicants should not be surprised by errors, long delays and lost files. Keep and submit complete records. Reply promptly. Appeal repeatedly. In 2014, only 32% of applications were approved on initial submission; 11% were approved on Reconsideration; and 45% were approved by a Social Security Administrative Law Judge. Some were approved or sent back for Reconsideration by the Social Security Appeals Council or a U.S. District Court. 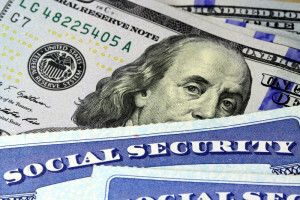 The key to securing Social Security benefits appears to be to simply not give up. Texas Parent for Parent offers a two hour introductory class. NOLO’s Guide to Social Security Disability: Getting and Keeping Your Benefits and other books such as Social Security Disability Guide and How to Get SSI and Social Security Disability are available at many libraries and can be purchased online. The Social Security Administration’s internal guidelines, the Program and Operation Manuals (“POMS”) are available online at https://secure.ssa.gov/poms.nsf/home!readform. If something goes terribly awry, you might want to consult an attorney or contact your Congressperson. But in most instances polite perseverance will move the application through what can be an exasperating series of delays and denials. You can appoint someone as your personal representative to help you apply. Use Form SSA-1686, found at https://www.ssa.gov/forms.ssa-1686.html. It is only at the fourth level, appealing to an Administrative Law Judge, that it may be necessary to hire a lawyer as your personal representative. The lawyer is paid out of the back benefits if your claim is approved. If there are no back benefits, you and the lawyer must file a fee petition. Many lawyers who specialize in this area are members of the National Organization of Social Security Claimant Representatives. They handle Social Security appeals day in and day out. After benefits have been awarded, the Social Security Administration will accept a statement from the beneficiary or a form from a physician stating that an SSI or SSDI recipient is incapable of handling their own finances. It will then appoint a representative payee. SSI or SSDI funds are automatically deposited in a separate bank account and must be spent first on housing and food and then on medical care and education. They can be supplemented by funds from a Texas ABLE Account, Permitted Distributions from a Special Needs Trust and, within limits, earned income. In-kind support and maintenance, such as that for someone living with gainfully employed parents, can reduce SSI benefits but by no more than $270 (2018) per month. Unearned income, such as birthday gifts, of up to $20 per month do not reduce SSI benefits. In Texas, Supplemental Security Insurance automatically comes with Medicaid. But you do not need to qualify for Supplemental Security Insurance to qualify for Medicaid. Qualifying for Medicaid and Medicaid waiver programs varies greatly from program to program. There are over 40 Medicaid programs in Texas. Eligibility for each program should be investigated separately. A disabled divorced widow or widower age 50 or older if you were married for more than 10 years.